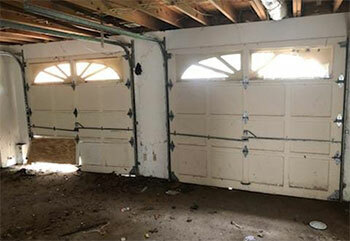 Our team can help you with all sorts of different garage door repair and installation related problems. Go ahead and check out our latest projects to see how we helped other overhead door owners with various issues. Customer Issue: Cracked door panel. Our Solution: Our experts disconnected the door from the opener for safety before unscrewing the damaged panel from the door to remove it. A new panel of the appropriate size and color was then installed into place. Customer Issue: Needed replacement opener. Our Solution: Our technician recommended a heavy-duty Chamberlain 1-1/4 HP opener model B970 because of the weight of the customer’s wooden door. We replaced the old opener and ran a complete maintenance check to be sure the opener and door were working properly. Customer Issue: Broken door opener. 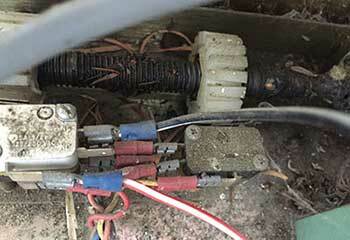 Our Solution: Our technician examined the opener and discovered the circuit board had suffered an electrical surge. He replaced the board and made sure all fittings were tight, then lubed and tested the door for proper operation. 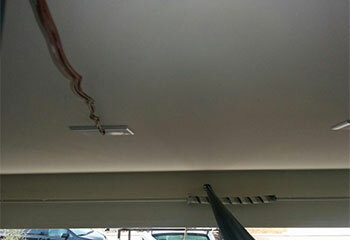 Customer Issue: Mr. Richard’s garage door had a broken torsion spring. Our Solution: We took out the rest of the spring and replaced it. 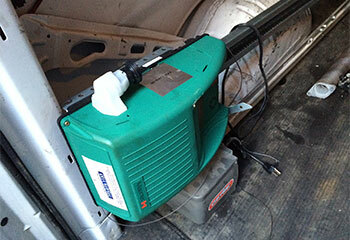 We then tightened all sections and balanced the door to make sure it was working correctly. Our years of experience and vast range of knowledge make us the perfect choice for you. We only use the best materials and top of the line replacement parts. Speed always plays a part when it comes to our services. When it's an emergency, it nabs a leading role. You can always depend on the quality of our services.